Every woman deserves to feel like a princess, at least once in a while, so allow you a bit of luxury and you will be relaxed and pampered by a spa. Fluffy towels at the ready: it's time to get pampered. From hosting hen parties to supplying speedy manicures, organizing indulgent day packages to offering top-notch treatments for bargain-basement prices, London's spas can cater to your every need. Caudalie Boutique Spa is the luxury French brand's first flagship store and set of treatment rooms in the UK. 7 Day Spa offers spa treatments designed to help you escape from the hustle and bustle of London city center. Beauty at The Circle Gym & Spa offers a luxurious and tranquil environment that is sure to leave you feeling relaxed, revitalized and invigorated. Vervana Hair & Beauty Salons are unisex salons based in London UK with outlets in West Hampstead and Tower Bridge. Set in a space of iconic beauty, ESPA Life at Corinthia London is quite simply the Next Generation of Spa. A pioneering new concept, ESPA Life excels at offering a fully integrated approach to wellbeing. Cocooned from city stresses, M Spa is the ultimate urban sanctuary. Studded with gold leaf tiles, the pool, jacuzzi, sauna, steam room and experience showers invite blissful relaxation, and each experience in the spa's three treatment rooms is exclusively crafted using the world's most luxurious products. Their incomparable range of treatments and industry leading brands along with their caring, highly skilled and dedicated team gives clients complete confidence. At Aura they understand your beauty concerns and always listen to your views. They aim to provide outstanding quality treatments alongside exceptional customer service in a relaxed environment. Health Aroma offers a rich Spa menu in the heart of London. Based at the Thistle City Hotel in Barbican Health Aroma is the perfect location for both Londoners and visitors to the capital. 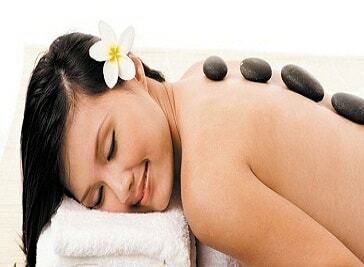 Offering a wide range of treatments and packages they give revitalise and refresh both body and mind.